So here we come to the start of a new year - so it's cheerio to 2011 and hello to the new. 2011 has not really set the world alight in any great shakes, at least not for me that is. Many of us have lost someone close to us and are only too glad to draw a line under the old and get on with life in a new year. Many prominent or famous people have left us, often leaving a legacy either fulfilled or sadly lacking completion. Sir Jimmy Savile - stylish even in death, being buried in his beloved Scarborough at a 45 degree angle overlooking the bay. Amy Winehouse - such a talent, making us wonder what really could have been. Gary Speed - ex-footballer and Manager of the Welsh national side, took his own life for reasons unknown. Manager Gary, taken a few weeks before his death. To all those I have mentioned and those I have temporarily forgotten, God bless you and may you all rest in peace. A new year is a good time to start afresh, to reflect on where you have been going wrong and try to do something about it. Ring out the old and ring in the new! I hope you all had a happy and peaceful Christmas and are enjoying your Boxing Day (or St Stephen's Day if that is what you call it in your location). Here follows a few seasonal nags to keep an eye on. Before we go any further, The mighty Biggleswade United came up with a super performance, gaining an excellent 2-1 success against a very impressive Berkhamsted outfit yesterday. In front of 51 people (Mrs Tatty and yours truly being 2 of which), two Stuart Richardson goals (the 1st being as good a goal as you would see in the Premier League), brought the points to Second Meadow. Next up is AFC Dunstable on the 27th, when sadly I will not be able to attend. As for the old nags, a 9/1 winner was welcome yesterday - today it's back to Kempton Park for a pretty desperate looking pre-Christmas card (sorry about the pun). Just one last note, I got up during the night to watch the final of the Super Six between Brit Carl "The Cobra" Froch and American Andre Ward. Hoping for a British win, I could only be impressed with the American who won a unanimous points victory. Andre Ward - superstar in waiting? I get the impression that the man from Oakland is a superstar in the making, but what now for Froch? After the fight he seemed to think that given the right circumstances, he could beat Ward. To be honest, he was totally out of his depth and, if they met again, I think the American would win in an easier fashion. Tomorrow (Monday) is Tatty's birthday and to celebrate this monumental occasion, I am going to give you all a rest from my hopeless horse selections and have a day off. And on further thought, I have decided to take a Christmas break. A strange day yesterday, albeit profitable if backing each-way or place only (but remember, these are horses only to watch. I'm not proposing anyone investing their life savings on them). 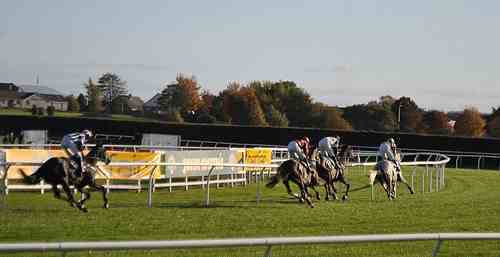 The highlight (for me anyway) was Canadian Danehill coming 3rd at odds of 28/1 in the 5 furlong handicap at Wolves. In a 10 runner race where the winner went off at 18's, it says very little for the rest of them. 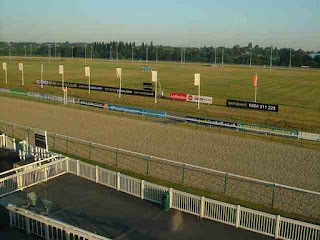 Lingfield today - I've had a few problems at the leafy one of late, so let's try to find a couple that may spark the odd glimmer of something. The mighty Biggleswade United return home to Second Meadow today after an excellent away win last Saturday. Today's opponents are Berkhamsted, who currently lie up in 7th place in the table. It won't be easy, but we are playing decent football at present so fingers (and toes) crossed. I fell out of the pit this morning to see a dusting of snow on the ground that had fallen overnight. This, in theory shouldn't affect the racing we are interested in today - it is all-weather racing when all said and done and all-weather means just that, doesn't it? Strangely this is not always the case. Even if the course is raceable, it doesn't mean that the facilities on course are accessible and meetings have in the past been cancelled for this reason. There is also the logistical problem of getting the horses to the course. 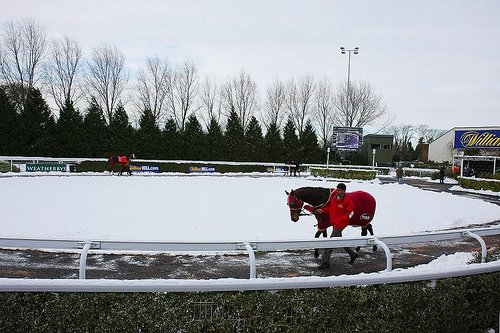 If there has been a deluge of snow in Newmarket say, trying to get the horses to Kempton Park may be difficult, even if the Sunbury area is clear. The fibresand surface at Southwell often doesn't hold up to extreme low temperatures and because of its softer texture than polytrack, will actually freeze. So maybe the time has come to change the name to sand or even artificial track racing, to get away from the myth that all-weather really means in all conditions. To be honest, I wouldn't be too upset to see a temporary halt in racing, considering the bad run of form I seem to be on at the moment. I try to pick horses to watch and the only place most of them seem to be currently is at the rear of the field. Anyway, onwards and upwards - Southwell, Wolverhampton and Dundalk today (and we all know, I don't deal in Dundalk, unless I absolutely have to). I said we would need luck with yesterday's little lot and I wasn't far wrong with only 2 winners and 3 others getting into the frame from 11 choices. I have come to the decision that in future I will try more to find horses that are "better value" and so in that case will try to steer away from obvious short price favourites. It may be the case however that I consider the favourite to be the best option in a race, but remember, these choices are only horses to watch - not necessarily opportunities or recommendations to invest in. So let's see if we can find a couple of "interesting runners" at today's Southwell and Kempton cards. Better news on the jockey front is that the lovely Hayley Turner will return to the saddle at Kempton Park next Tuesday. After being sidelined for 4 months since breaking her ankle at Bath, the double 2011 Group 1 winning pilot comes back 5 days before Christmas, hopefully with a book of up to 3 rides. Good luck Hayley, it will be great to see you back. And later on at Kempton. Good luck, I think we are gonna need it with this lot. Yesterday proved to be quite profitable helped out for 4 winners on the bounce - a rare occurrance, albeit a very welcome one. The Tatling managed to perform to the script and won his last race with an amazing late run, piloted quite brilliantly by jockey Richard Kingscote. He went off at odds of 16/1, having been 12's in the morning and 20/1 plus about an hour before going to post. In the 4.15 Admirable Duque won at 11/2 but had you invested early morning, 12/1 was available. A couple of winners along with an 8/1 place gave us a reasonable Sunday afternoon at Southwell. It’s quite obvious that today is a Monday by looking at the racing cards on offer for the day. There are only 2 meetings – a National Hunt card at Fakenham, along with an 8 race all-weather offering from Wolverhampton, which can best be described as pretty dismal. As I mentioned last Friday, the 3.45 race will be the last for the almost legendary The Tatling, before his retirement from racing. I am not only suggesting him as the horse to watch in this race for sentimental reasons, but also the fact that I believe he is capable of running well and could get into the frame. I truly hope so anyway. 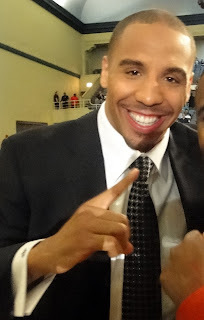 Further to Amir Khan's defeat in his title fight against Lamont Peterson, the English former light-welterweight world champion has stated that he believes that Washington DC is bad for boxing and he will never fight there again. He claims that his people are in negotiations for a re-match, to be held at a neutral venue. Just a suggestion Amir, rather than looking for mega fame and fortune over the seas, why not return to your English roots and fight back here in the UK again in front of your biggest fans? Yesterday was somewhat confusing. With only 1 winner at both of my favoured courses (Southwell and Wolverhampton) and each of those going off at odds of 6/4, I was beginning to despair, especially with 7 unplaced runners on the bounce. This was until the last 2 races when we landed 2nd place in both at 11/1 and 16/1, which restored my faith a little, shall we say? One of the winners, namely Guava in the 7.50 at Wolverhampton, gave its trainer Richard Hannon a record 217 winners in a calendar year. Click here to read the Racing Post's take on the achievement. Still at least United managed to gain an excellent 2-1 away win at Oxhey Jets. It is fairly unusual to have AW racing on a Sunday, but the 3rd day of the Southwell meeting takes place. Here are a few that may be of interest. On to a different subject namely the noble art, or more specifically the controversial (if not outrageous) Amir Khan v Lamont Peterson WBA/IBF World light-welterweight title bout, at Washington Convention Center last night. 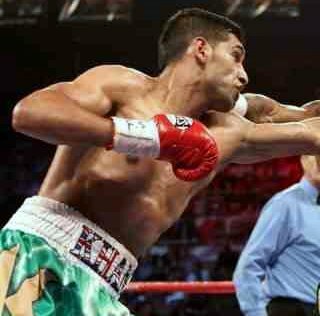 Khan lost his title in an action packed contest after being controversially deducted 2 points by the referee for 2 incidents of pushing in rounds 7 and 12. The three judges scored the fight 113-112, 113-112, 110-115. But how can 1 judge believe the British fighter won by 5 rounds, whereas the others shaded it to Peterson. I personally gave the fight to Khan by 2 rounds which, with the referees (interesting, let's say) deductions, would have made it a draw on my card. 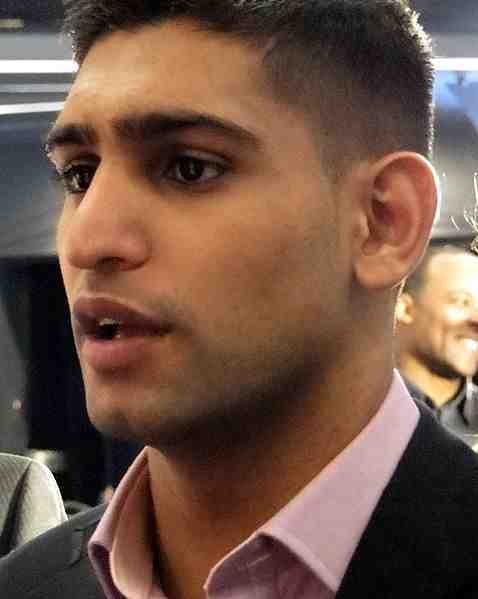 "It was like fighting two people in the ring, the referee and Lamont," Khan said afterwards. "I can see why there hasn't been a big fight in Washington in the last 20 years, because of decisions like this." So where does Khan go after this? Maybe a rise in the weights is on the cards or will he want a rematch with Peterson to try and put the record straight? All that can be said is that King Khan cannot claim his crown anymore, or at least not at the moment. Well we didn't exactly set the world alight yesterday, but with 5 winners and a couple making the frame, I suppose we can't complain really. It’s Southwell and Wolverhampton again today in 2 fairly low grade cards, except for the class 2 Tote Trifecta Handicap at the latter (8.20) which seems to be quite a decent contest. A very good day yesterday highlighted with Megalala winning at 12/1 (I got 14's earlier). News has filtered through that Milton Bradley's old warhorse, The Tatling will have his final competitive run next Monday. At 14 years of age and a career stretching as far back as May 1999 when, trained by Michael Bell, he came 3rd of 11 in a class 4 maiden at Newmarket. The highlight of his career came at Royal Ascot in 2004 when as a 7 year old he won the King's Stand Stakes when ridden by Darryll Holland. Talking of retirements, it has also been announced that former Cheltenham Gold Cup winner Denman has also been retired. Apparently he was in fine form on Wednesday, getting ready for his seasonal debut, but pulled up sore yesterday morning. After a scan, it was seen that there was a problem with his near fore tendon and upon consultation with his owner , it was decided the time was right for him to call a halt to his racing career. Let's wish a happy retirement to both old fellas and thanks for the memories. 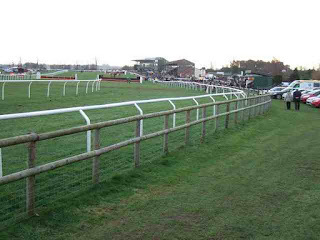 Today's all-weather racing gets underway very early at 11.10 when Southwell stages an 8 race card through to 3.10. 30 minutes later Wolverhampton takes up the mantle with a further 8 races. 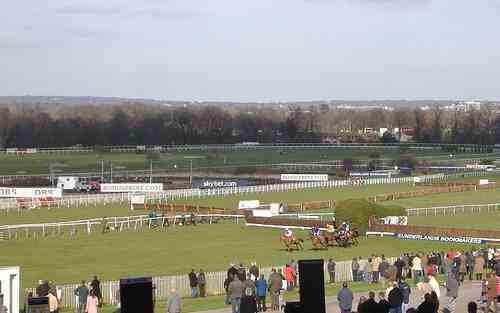 Dundalk action gets underway at 6 o'clock until 9.25 giving over 10 hours and 24 AW races during a marathon day. Along with all of this there are 4 National Hunt races from Cheltenham being shown live on terrestrial TV (Channel 4). Quite busy I think you will agree. For tipping purposes, I will concentrate only on the meets at Southwell and Wolves. Good luck with this lot. Somehow, I think we may just need it! Well I went into yesterday’s choices with a hint of trepidation, especially after how well things had gone on Tuesday. I soon had the impression that it was not going to be my day when Cristal Gem was beaten into 2nd at odds of 2/5, but if anything things did improve. 2 winners (including Black Baccara at 8/1) and six 2nd placed horses wasn’t a bad return in the end. I make no secret of the fact that I have a preference for all-weather racing at Wolverhampton and Southwell. My record at Lingfield is patchy at best and as for Kempton it can be very hit and miss. For some reason I often do well at Wolverhampton (I grew up not far from Dunstall Park) and the different surface at Southwell (Fibresand as opposed to Polytrack) often throws up course specialists who prefer the softer sand, which are not difficult to pinpoint. When it comes to Dundalk, I find that the cards are often so large and that the racing is so competitive, that is is very difficult to choose one horse over another. Has All-Weather Racing Finally Come of Age? The stand-out national Hunt race of the day is the extended 2 and a half mile Peterborough Chase at Huntingdon (2.00). Henrietta Knight has an amazing record in the race, winning it 8 times between the years of 1998 and 2007. She brings the excellent Somersby here for a tilt at the crown and in all honesty the 7 year-old gelding should prevail. It is noticeable however that he has only won once in 9 runs in the last 2 years and questions do have to be asked. 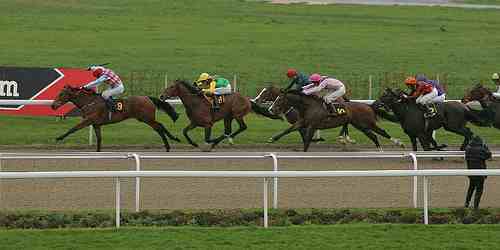 Just keep an eye on TARTAK who won this race last year at Newbury (meeting at Huntingdon abandoned). He has top weight to shoulder and ran poorly in France last month, but he undoubtedly has the ability to go close at a fairly decent price. 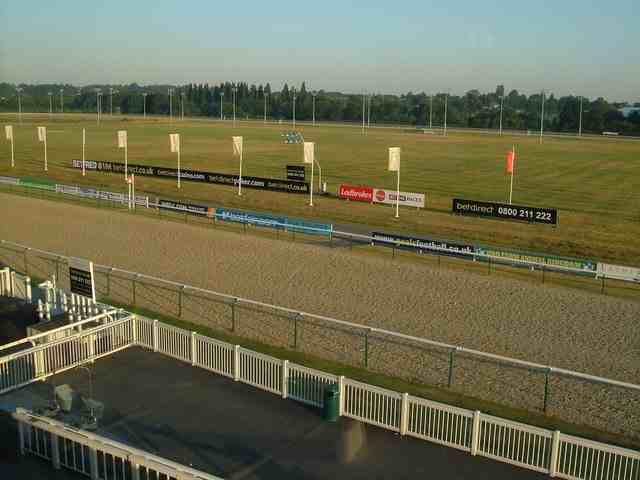 Finally let's get on to some suggestions for Thursday at Kempton Park's early evening meeting. Well what a rather splendiferous day yesterday was with 4 winners going off with prices ranging from 7/2 to 7/1. They certainly increased my betting bank balance, I hope yours as well. Two all weather meets today – this afternoon at Lingfield (always a bit dodgy) and later under the lights at Kempton (occasionally has its moments, but generally a nightmare!). The mighty Biggleswade United are at home tonight in a friendly against Kent Athletic. As I have a previous engagement sadly I will be unable to attend, but I will pass on the result, hopefully in Thursday's posting. Monday turned into a fairly profitable day, so long as the selections were backed each-way or place only. A 7/2 winner and three placed horses at 7/1, 10/1 and 14/1 certainly brought a smile to my face, especially at Lingfield which is not one of my faves let's say. Off to Lingfield Park today where, if I'm honest, my record of success is questionable to say the best. Some of these are a little speculative maybe, but well worth keeping an eye on. Good luck with any punting you undertake today. A super result for Biggleswade United on Saturday with a welcome 2-0 win over Harefield United. With both goals from captain Sean Murray, it brought a well needed 3 points to Second Meadow. Below is a quick snap I made of the action (just to prove I was there this time). An away day at Oxhey Jets next Saturday which will be testing, but our recent good form may help us give them a good game. Not too impressive today, maybe we can do a little better for Saturday. Just the one all-weather meeting, again at Wolverhampton, but before concentrating on this, I have a few ideas for the Tingle Creek Chase at Sandown Park (3.05). Winner of the Queen Mother Champion Chase at the Cheltenham Festival back in March, Sizing Europe beat Big Zeb by 5 lengths (although he was himself beaten by the same horse in May at the Punchestown equivalent). It is noticeable that in his subsequent runs over further than the 2 mile minimum trip, Henry De Bromhead's chaser has not really looked himself, even when winning at Gowran Park. Today, back in distance, he certainly will be all the rage in the betting ring. But is there anything up against him that may give him a run for his money? Kauto Star's half brother, Kauto Stone really impressed running in his native France last season and comes here, now being trained by Paul Nichols. Overnight rain is expected at Esher and any further easing in the ground will certainly help his chances. Wishfull Thinking should not be far away in the shake-up even after a poor run on his re-appearance at Cheltenham last month. Trainer Philip Hobbs has reasons for this below-par run and is confident the 8-year-old gelding will return in fine fettle to challenge. My choice for the race however, is a bit of an outsider in GAUVAIN. Nick Williams' course and distance winner has occasionally struggled in the past when running at this Grade 1 level, but he looked mightily impressive when winning the Shloer Chase at Cheltenham last month. At a price of 8/1 (when writing), he is certainly worth a small investment (IMHO). On Sunday we get a welcome day off from all-weather flat action with National Hunt cards at Kelso, Warwick and Fairyhouse on offer. 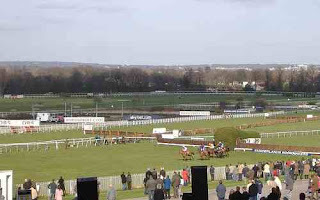 If you have access to the Attheraces satellite/cable channel however, at Kelso (2.30), the Scottish Borders National Handicap Chase over 4 miles is well worth a look. With £15,640 to the winner. it promises to be a highly contestested trawl through ground that should have a fair bit of give in it. What will win? Well your guess is as good as mine, but isn't that generally the case? Myself and Mrs Tatty are off to Second Meadow this afternoon to see the mighty Biggleswade United take on Harefield United in what could be classed as an early 6 pointer, especially with the precarious position both sides find themselves in at present. United have made a couple of signings during the week so we are very hopeful of a positive result. I certainly cannot complain about yesterday’s little lot – 8 choices, 3 winners and 3 placed. I won a few pennies, hope you all did too. Today is very busy on the all-weather front with an afternoon meeting at Lingfield along with floodlight cards at both Wolverhampton and Dundalk. For time reasons I am confining my choices to the 2 English meetings (my record at Dundalk is pretty abysmal and that’s being kind). I notice that it is being reported this morning that Martin O'Neill has said yes (this time) to becoming the new Sunderland manager. That obviously will please the many Mackem fans who are crying out for success after the struggles of the last year or so under Steve Bruce. But a word of warning - O'Neills record at his last club Aston Vile was nothing to get particularly excited about and remember that the club sold Darren Bent to that same Vile outfit without the knowledge or approval of Bruce. If they try that sort of shennanigans again, O'Neill will be off faster that you can shout Howay the lads!